With Father's Day fast approaching we'll all be worriedly thinking about what to get that special Dad of ours this year and when you have small children it's an even bigger thought on what to get their Daddy. I always think it gets harder and harder every year so to hopefully make life a little bit easier for everyone why not check out PersonalisedGiftSolutions.co.uk. They have a massive range of personalised products which can be sent straight to your door and there's free delivery on everything! Here's a little bit about the company: "We are a small family run business, based in Southampton, specialising in creating and selling high quality personalised gifts that are guaranteed to bring smiles to faces. After what seems like a lifetime slaving away in the corporate world (approx 15 years in reality), we finally decided enough was enough and took the decision to go it alone. So in early 2014 we established our own business selling personalised gifts and escaped the rat race for good!" To help you out even further Personalised Gift Solutions are offering all my readers a special 15% off discount code, hurray! Did you know it can also be used on there many sale items as well! Just enter 15%OFF4BREASTESTNEWS at the checkout. Here's a few of my favourite Father's Day gifts from the Personalised Gift Solutions website. 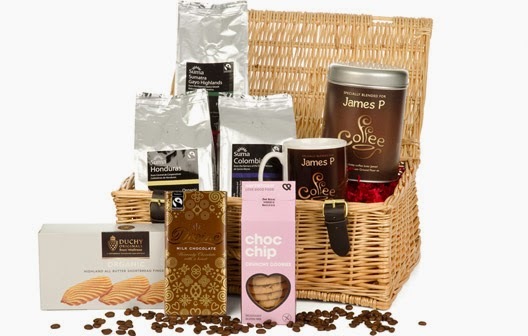 Complete with; Personalised mug, Personalised coffee tin, Union Columbian Ground Coffee, Union, Brazil Ground Coffee, Union Rwanda Ground Coffee, Divine Milk Chocolate, Duchy Originals, shortbread fingers and Chic chip crunchy cookies. A coffee lovers dream. RRP £69.95. 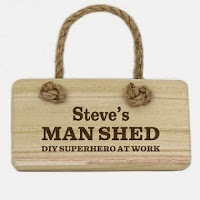 What man wouldn't want to proudly display this lovely sign on their man shed for all to see. Just change the name to suit. RRP £12.95. 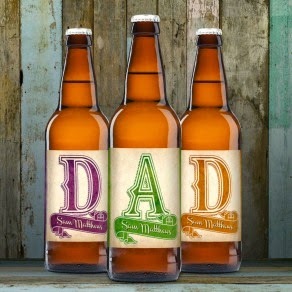 For more products and information check out www.PersonalisedGiftSolutions.co.uk or pay them a visit on Facebook. I was sent a discount code for my readers in return for this post. 0 comments on "Personalised Gift Solutions Discount Code"